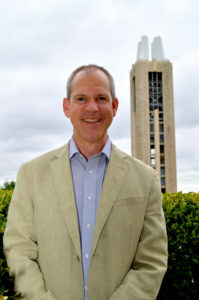 • A former KU dean of liberal arts and sciences appears to be a finalist in two different public universities’ searches for a new leader. When I saw this story reporting Kim Wilcox was one of four finalists to be president of the University of Wyoming, and also this story saying he was one of four finalists to be the new chancellor of the University of Wisconsin-Madison, I thought somebody mixed something up. I mean, both schools use the abbreviation “UW.” Come on. But after a few confused minutes, I checked both universities’ websites. Lo and behold, there was no mix-up: Wisconsin and Wyoming both list Wilcox as a finalist in their respective searches. 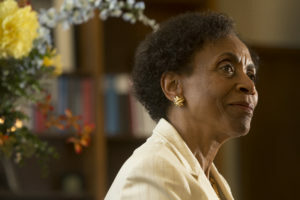 Wilcox led KU’s College of Liberal Arts and Sciences until 2005, when he left to be provost at Michigan State University. He’s announced he’s stepping down from that job in June. He was also the president of the Kansas Board of Regents at one point. Last spring, he was up for another chancellorship, this one in a place markedly different from Wyoming or Wisconsin: the University of Hawaii-Manoa. • Our old friend Leobardo Espinoza Jr., the Topeka High School senior blogging about his college choice for the New York Times, elaborated on his feelings about KU in another post this week. 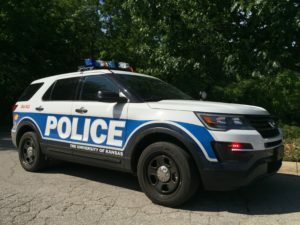 When we last heard from him, he was feeling conflicted after KU offered him a full-ride scholarship (one created especially for THS graduates). Though he’s waiting to hear back from Yale, Stanford and some other powerhouse universities, he writes now that his reluctance to come to KU has nothing to do with its rankings. It’s all about his desire for a new experience. • We’re a bit late on this one, but here goes: This Kansas City Star feature about pipe organs from last month mentions that KU’s organ program is one of the biggest in the country, even though it has only 24 students. It includes a video featuring James Higdon, the KU professor who leads the organ program, playing on the organ in the Bales Recital Hall at the Lied Center. By the way, in case you had not guessed, that Student Union Activities “Buried Life” event we told you about yesterday won’t be happening tonight as originally scheduled. But according to an SUA release, it’s been rescheduled for 7 p.m. March 12 in Woodruff Auditorium at the Kansas Union. I’m still planning to be in the Media Crossroads at the Union from 9 a.m. to noon tomorrow for Heard on the Hill Office Hours, as long as classes are in session. Please come tell me how to do my job better or ask me a question. If you can’t do that, then send those KU news tips to merickson@ljworld.com.